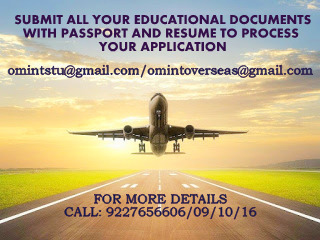 OM VISA Consultancy - Global Immigration, Students, Visitor, Business & Work VISA Consultants: STUDY IN LONDON AT NEWCASTLE UNIVERSITY AND MAKE YOUR DREAM COME TRUE WITH THE HELP OF OM INTERNATIONAL, THE LEADING VISA CONSULTANCY. STUDY IN LONDON AT NEWCASTLE UNIVERSITY AND MAKE YOUR DREAM COME TRUE WITH THE HELP OF OM INTERNATIONAL, THE LEADING VISA CONSULTANCY. Please find attached update on the scholarships that we have for Newcastle University London for September 17. £3,000, limited number of scholarships available for both undergraduate and postgraduate study. There is an application form which will be sent out to all students once they have applied. It’s a merit-based scholarship and we look at these on an individual basis. It’s more holistic than specific grades. £5,000, available just for postgraduate. There is no application form and all students flagged with a 1st class degree equivalent who hold an offer and have met IELTS requirements.